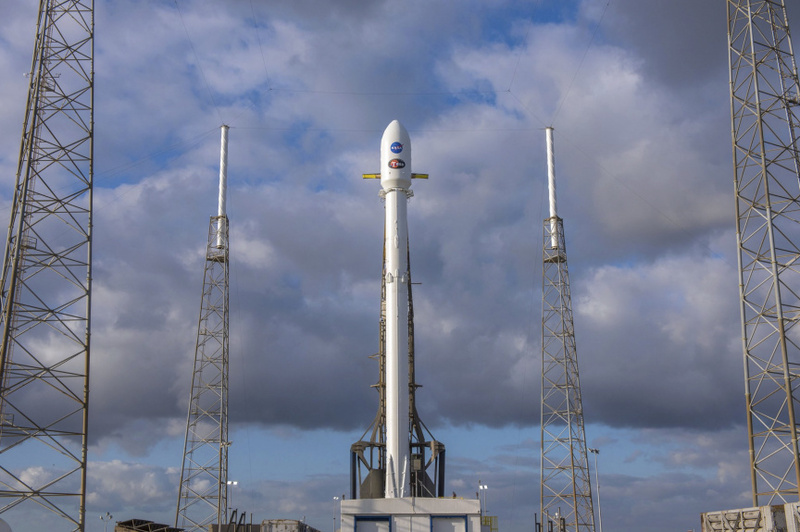 CAPE CANAVERAL, Fla. (AP) — NASA's newest planet-hunting spacecraft will have to wait another couple of days before lifting off. Two hours before Monday evening's scheduled launch, SpaceX announced it needed more time to check its rocket, which will carry the satellite to orbit. The next attempt will be Wednesday night. The satellite known as Tess will survey almost the entire sky, staring at the brightest, closest stars in an effort to find any planets that might be encircling them. These mysterious worlds beyond our solar system, called exoplanets, could harbor life. Scientists expect Tess — the Transiting Exoplanet Survey Satellite — to discover thousands of rocky and icy planets and gas giants, maybe even water worlds and places defying imagination. Bigger and more powerful observatories of the future will scrutinize these prime candidates for potential signs of life. SpaceX said extra time is needed to examine the Falcon 9 rocket's guidance, navigation and control system. Additional information was not immediately available, according to a spokesman. SpaceX sometimes uses recycled rocket boosters, but this one is brand new. The company hopes to land this first stage on a floating ocean platform following liftoff, and reuse it on a space station supply run for NASA this summer.